I am working on making our dinner reservations based on everyone's recommendations last week. THANK YOU SO MUCH for your input! I don't know what I'd do without you. This week I'd love to know what parks we should be sure to hit, and what rides are Totally Unskippable. If you've read my blog for any amount of time, you know that the boys are all about Star Wars, and they also love the Disney Pixar movies. We'll want to be sure to hit those things. But I don't know where any of the exhibits and rides are located, and I haven't had time to look them up yet. So any information you want to give me about which parks to hit and which rides we must ride would be GREAT! Also, how has your experience been with FastPass? Go to Hollywood Studios' Jedi Training Academy and Star Tours ride. Go directly to Hollywood Studios' Jedi Training Academy and Star Tours ride. Do not pass go or collect $200. I will give you all the details when I see you next week! Magic Kingdom is my favorite, and you can't miss EPCOT. I've never been to Animal Kingdom. The Buzz Lightyear Ride is so much fun! Tom Sawyer Island is a great stop for little boys! Although the Dumbo ride is a classic, the Magic Carpets of Aladdin do the same thing. Peter Pan is fun, and you have to do it's a small world. The Nemo ride (EPCOT) is good, and the show afterwards with the talking turtle is EVEN BETTER! The Land is a great place to grab lunch at EPCOT, and then you can take the boat ride through The Land (can't remember what it's called, but there are greenhouses and hydroponic gardens). Might not be the action/adventure spot, but it's a great way to get a bit of rest after lunch. I could go ON and ON! 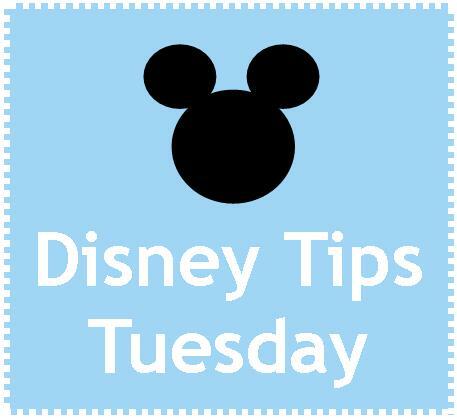 You pretty much can't go wrong - it's DISNEY! Animal Kingdom: Nemo show, expedition everest, safari, It's a bug's life (a little scary), festival of the lion king. Hollywood Studios: toy story mania (must get a fast pass), tower of terror and rockin rollercoaster (thrill rides), indiana jones spectacular, stunt show, star tours, afternoon parade. Have not been to American Idol exhibit (new). This is all from memory and I can tell you lots more. I am tired of typing. MK- Make sure you go to the rides in Fantasy Land 1st, send someone to get FP for Space Mtn. if interested but go to FL first thing in the morning to avoid lines. If your boys liked Monster's Inc. do the Monster's Inc. comedy show in Tomorrowland. There's also a pirate tutorial type show if the boys are into pirates. AK- Kali River Rapids, the Boneyard in DinoLand is a great place for the boys just to run around and burn off energy. HS- Jake would probably like Playhouse Disney Live on Stage if he watches the Disney Channel. The other boys might not be so interested but they could ride Toy Story again. Also go to Toy Story 1st, ride and get a fast pass. You'll definitely want to do it twice. Also, lots of the Pixar characters can be found in this park, just look for their times and locations on the park newsletter. You MUST use his recs for park touring and recommended park days. AHMAYZING! The Buzz Lightyear ride in Magic Kingdom - my older boy (who was alot littler last time we went!) LOVED. My kiddos do not like scary rides - so we skip most of the rollercoasters (plus they were not tall enough). You need to go and do the Safaria ride at Animal Kingdom first thing when you get there - the animals are out ALOT more in the morning when it is cooler - and if it is raining - the animals love that! The new Nemo show in Animal Kingdom is really cool, too - don't miss that!